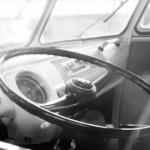 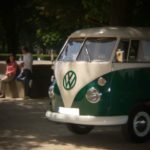 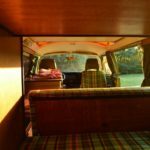 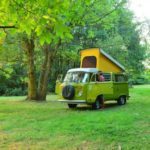 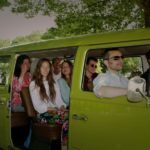 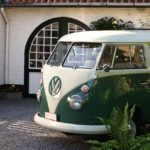 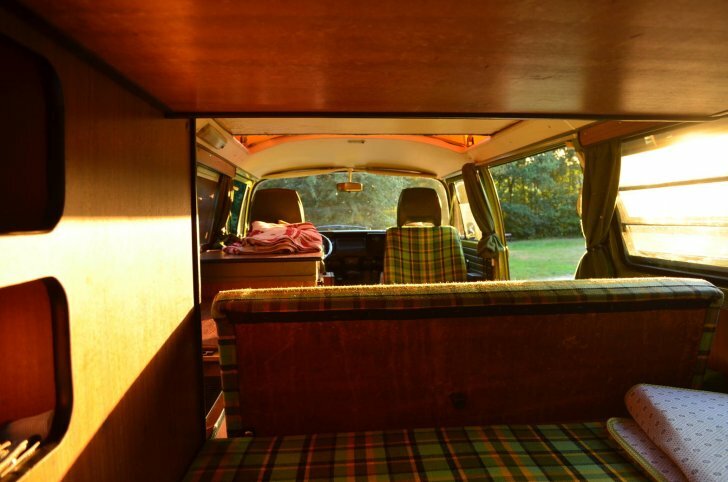 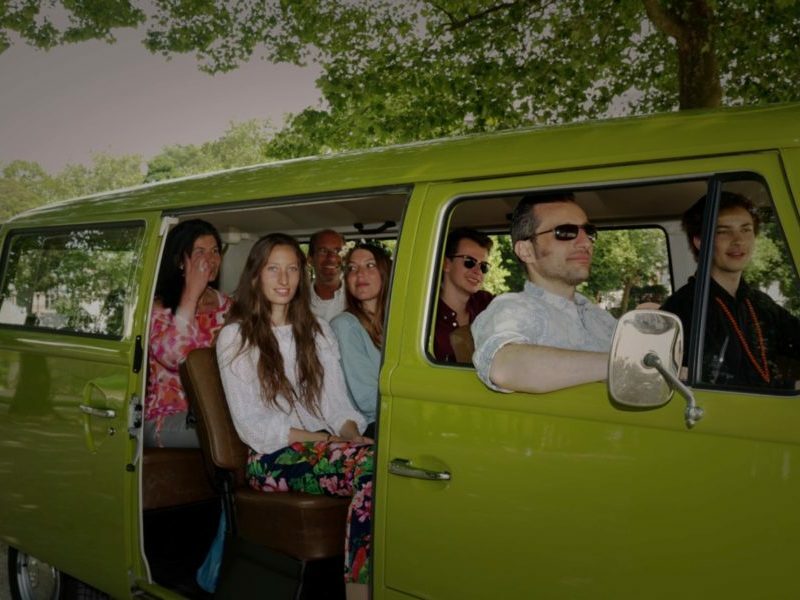 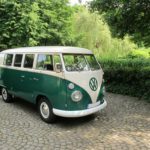 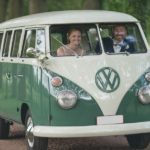 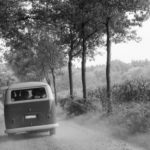 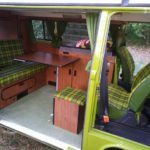 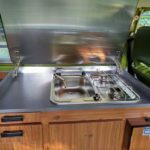 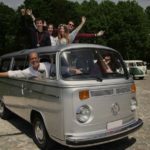 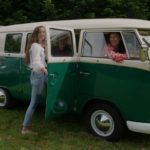 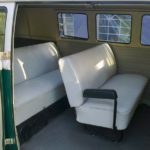 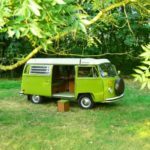 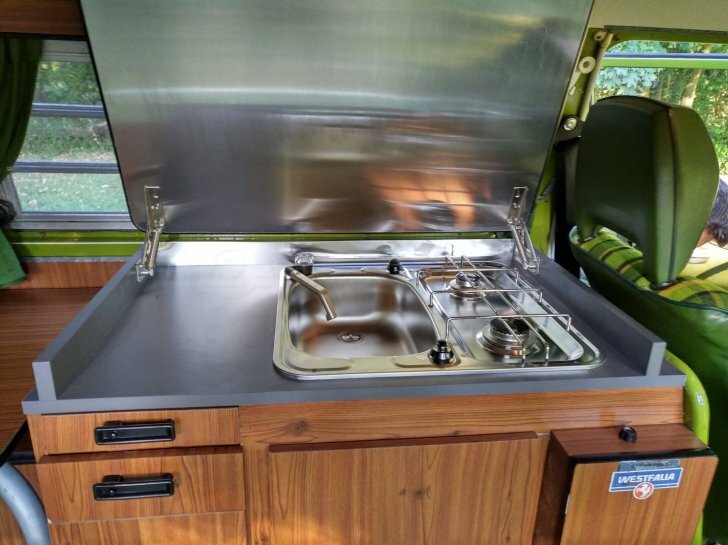 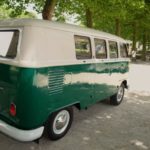 Take the wheel of our 1977 VW T2 Westfalia “Berlin” (follower of the mythic T1 Transporter) for an unforgettable trip in the past ! 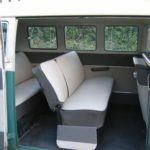 SEE PRICES. 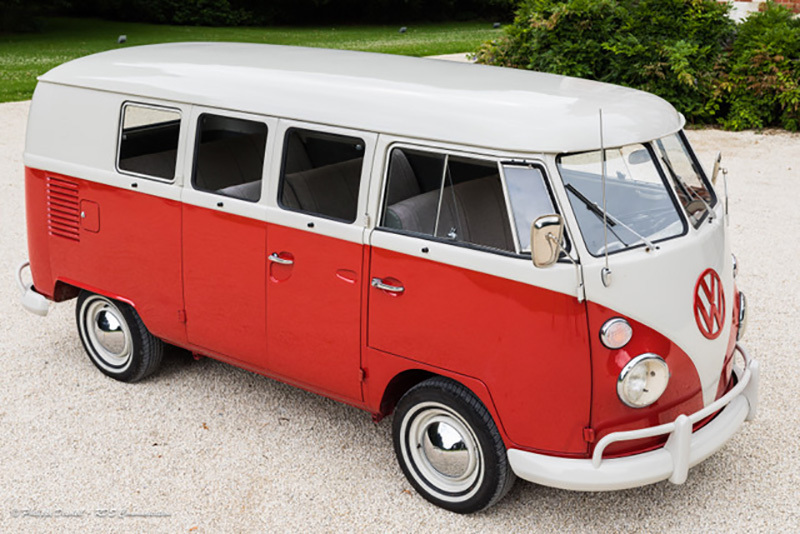 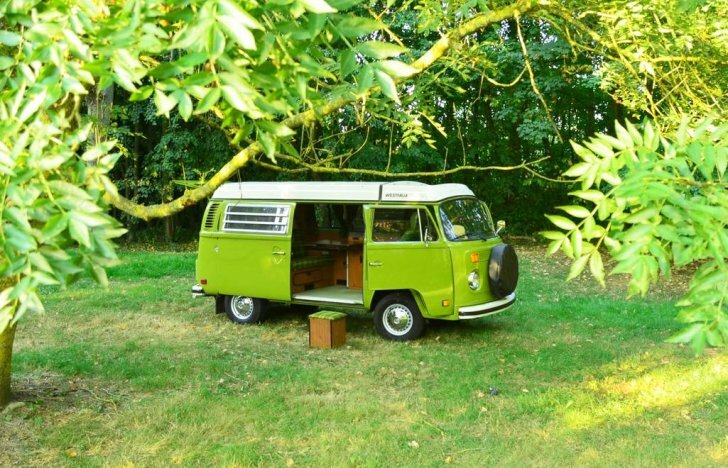 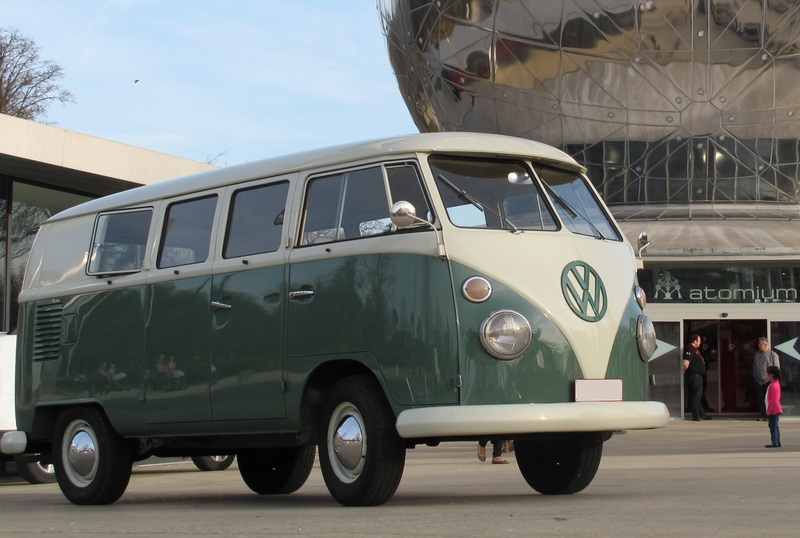 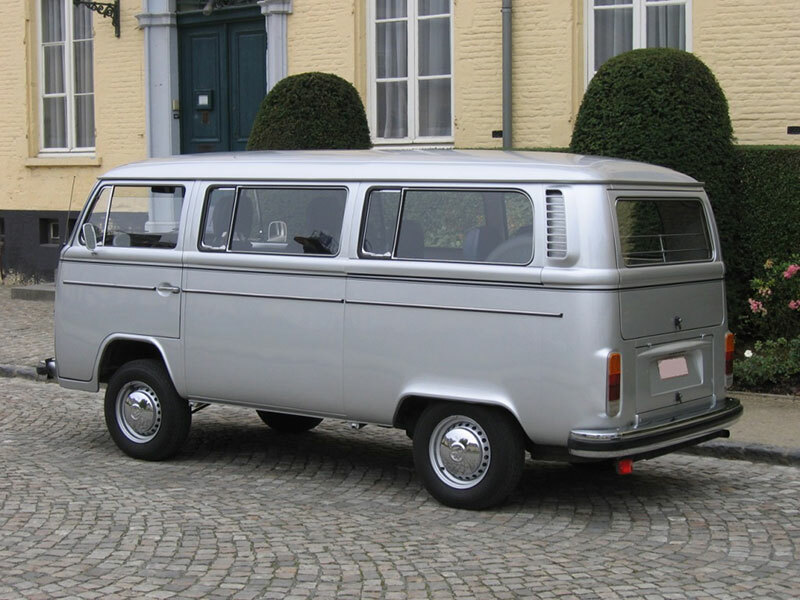 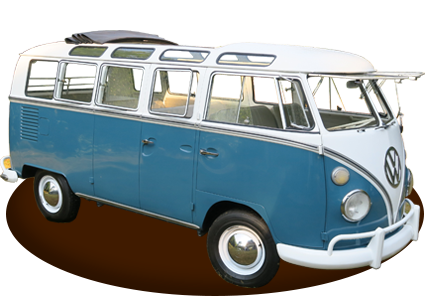 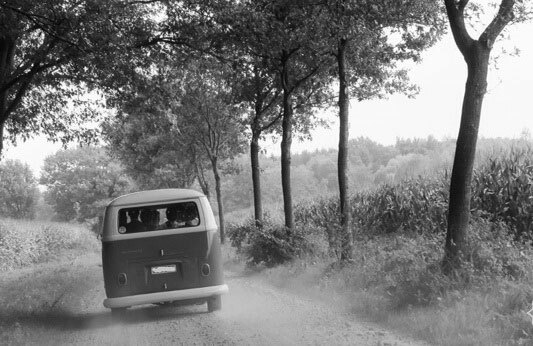 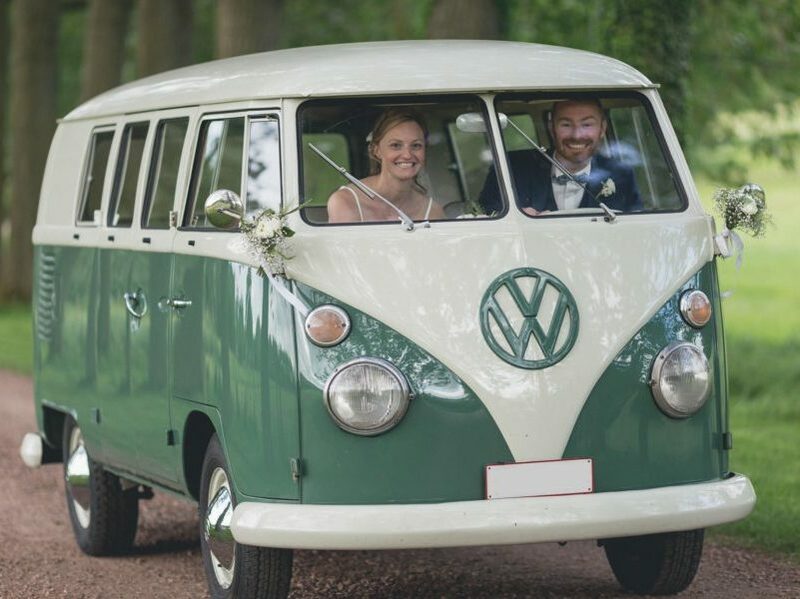 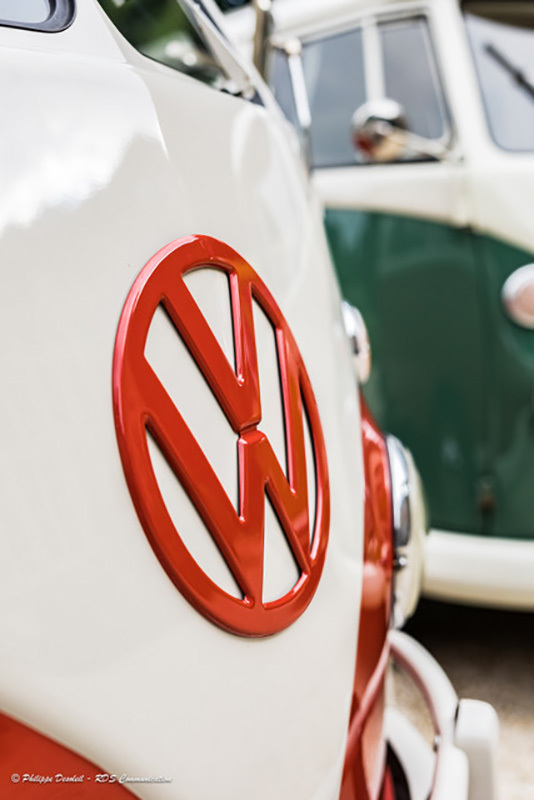 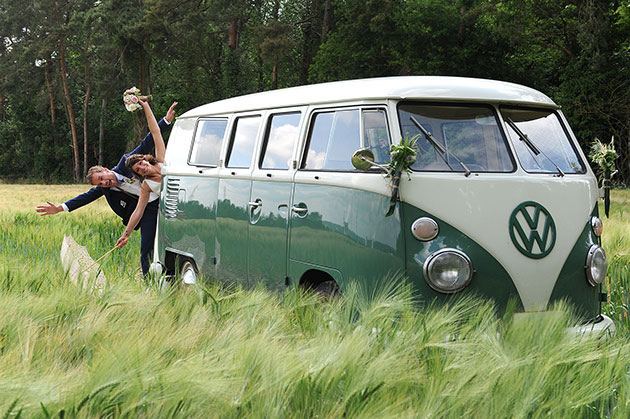 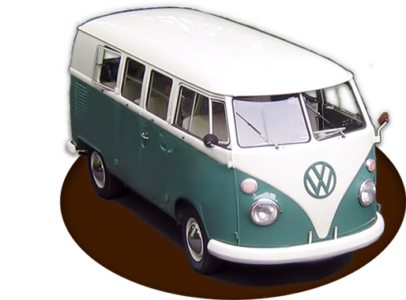 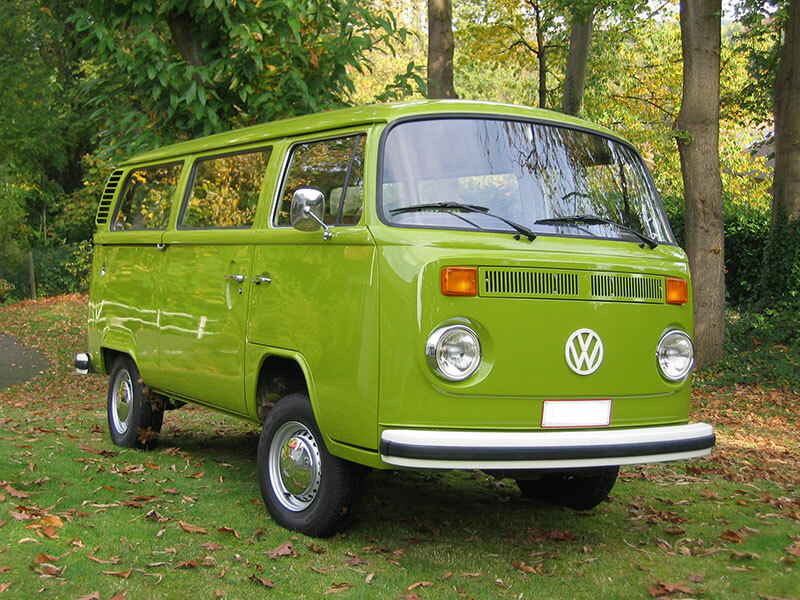 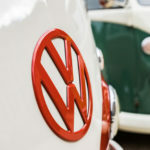 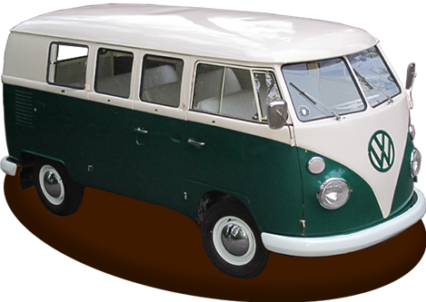 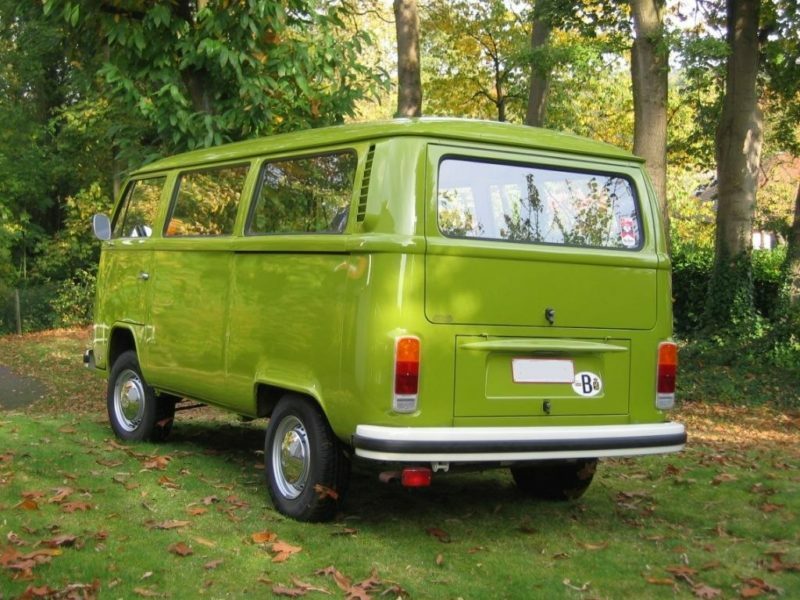 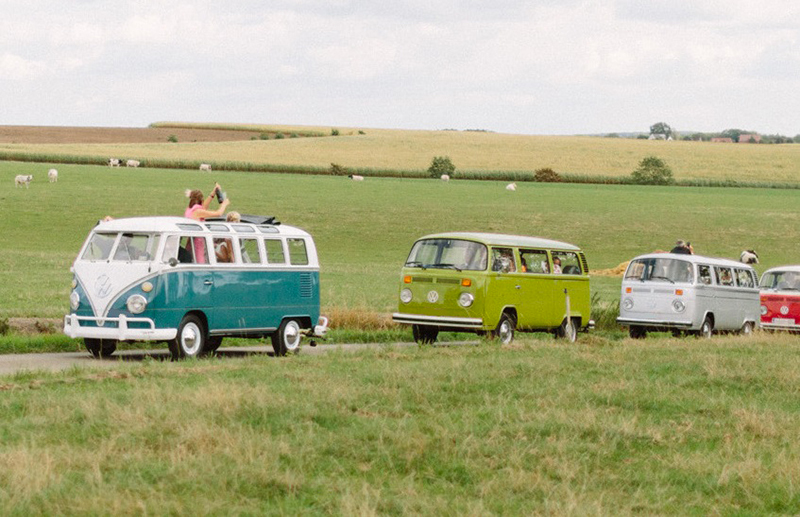 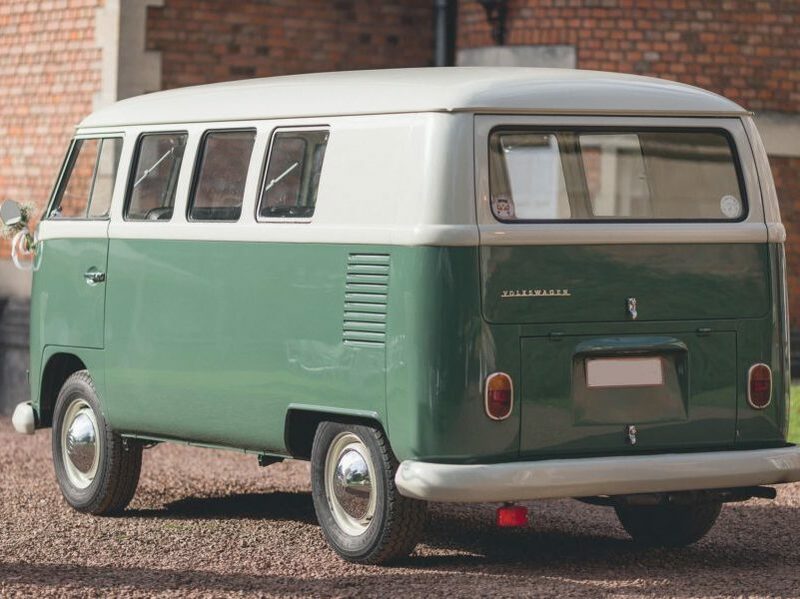 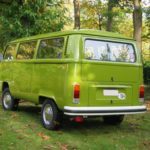 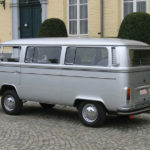 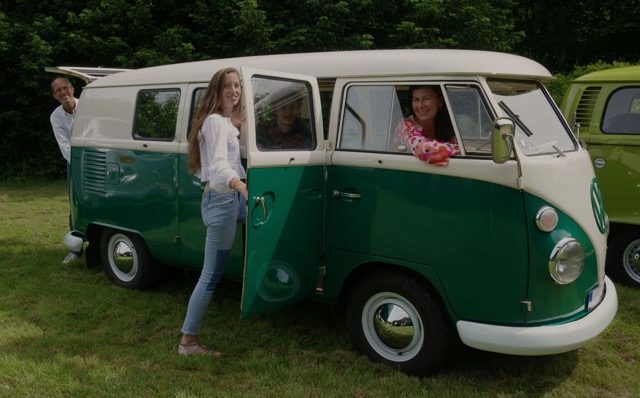 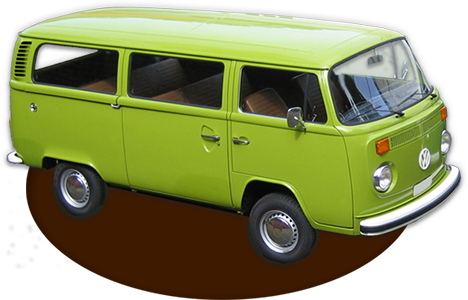 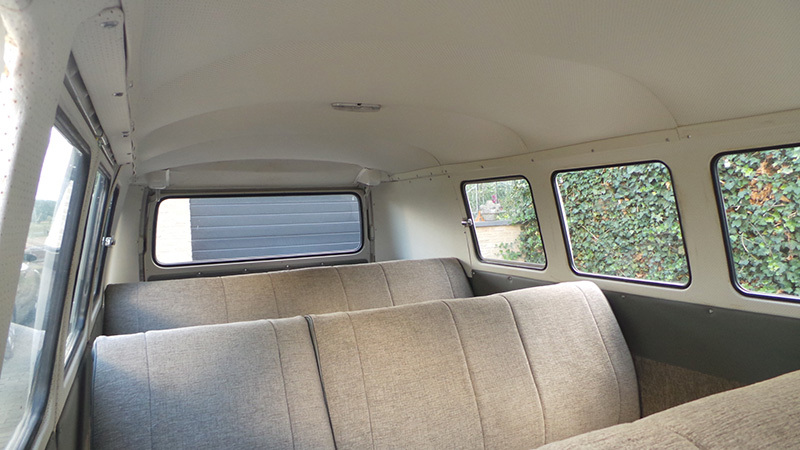 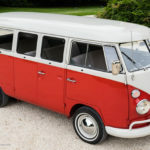 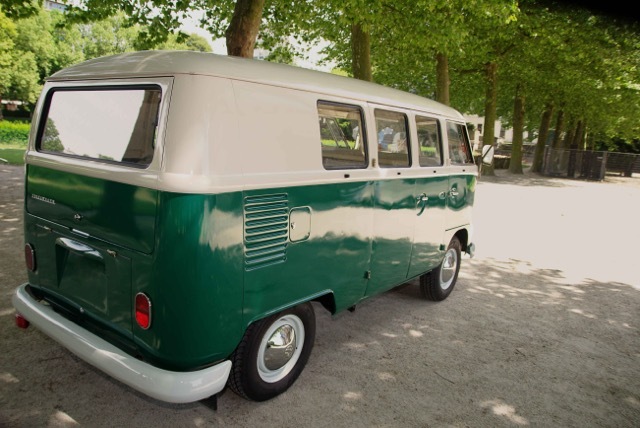 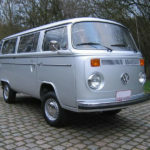 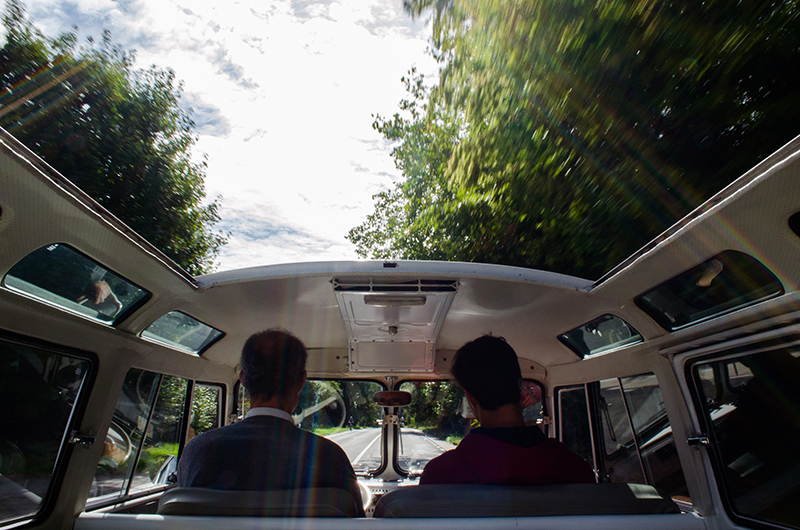 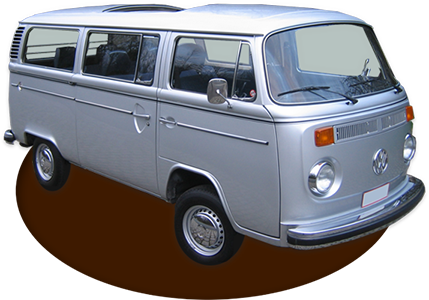 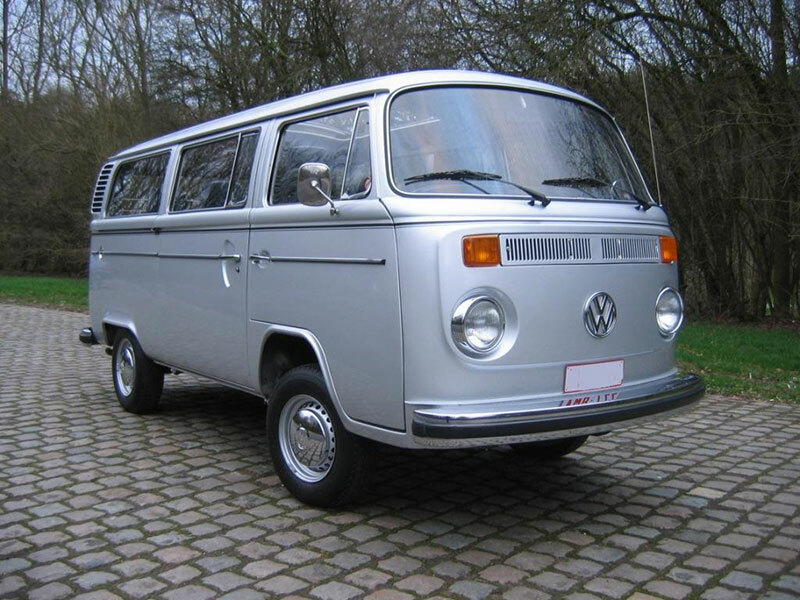 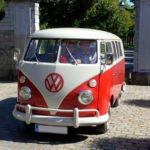 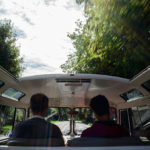 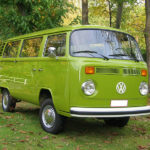 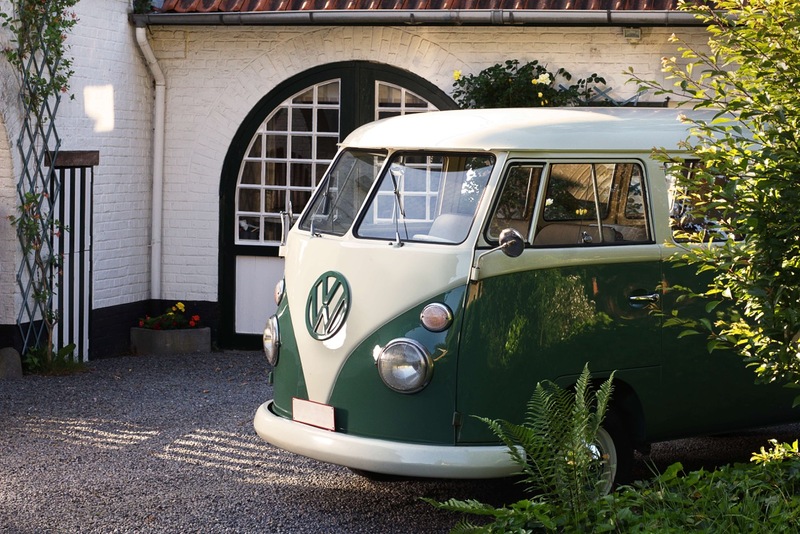 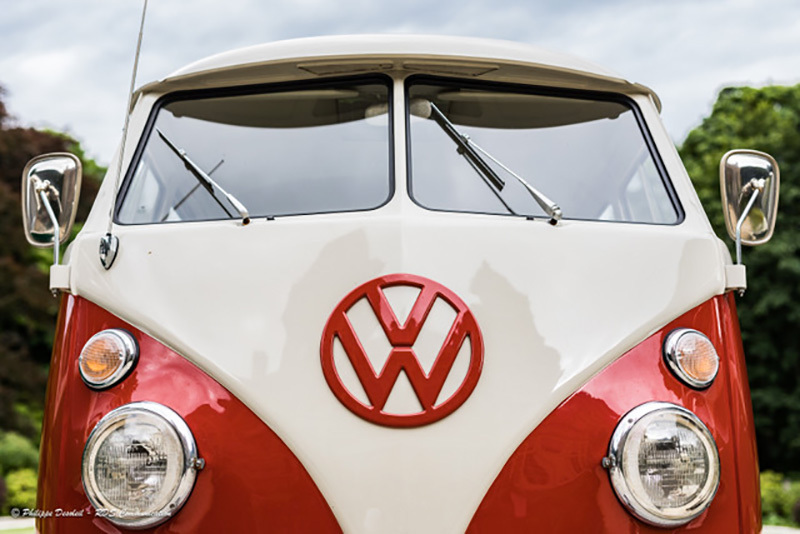 The crème de la crème of the VW T1, our “Samba” offers sunshine for seven through its huge sunroof and roof windows. 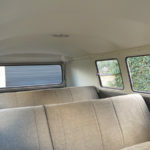 The bus is equiped with the very rare “safari” front windows. 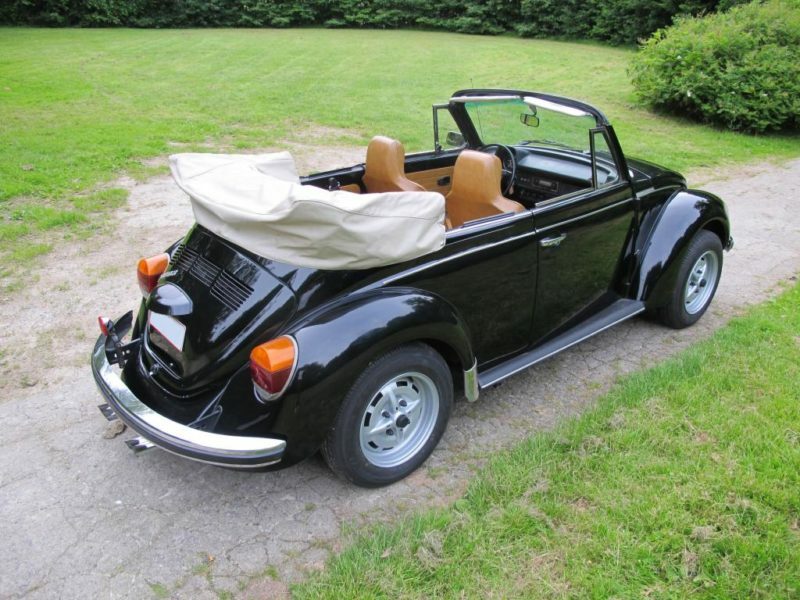 From 395 €. 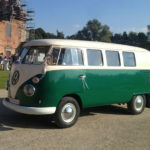 Baptism from Beersel 70 € / hour. 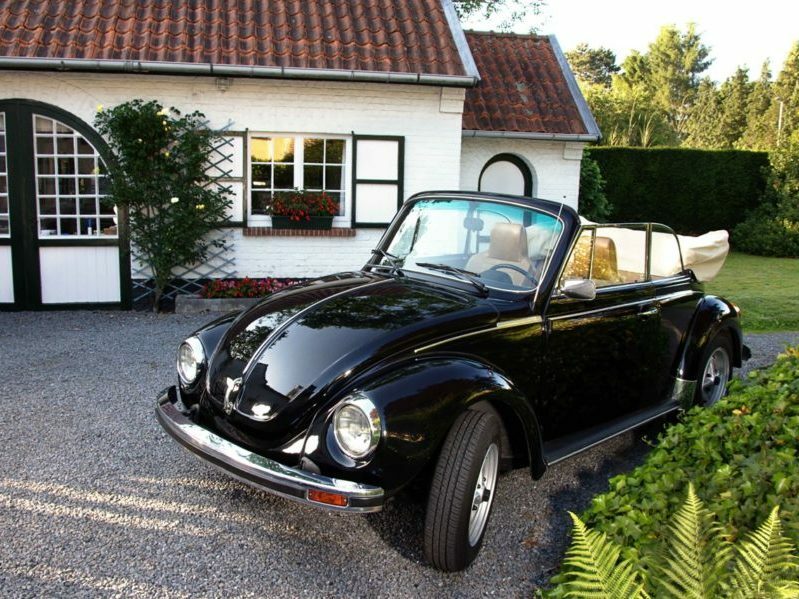 *5 hours and 100 km included from garage to garage. 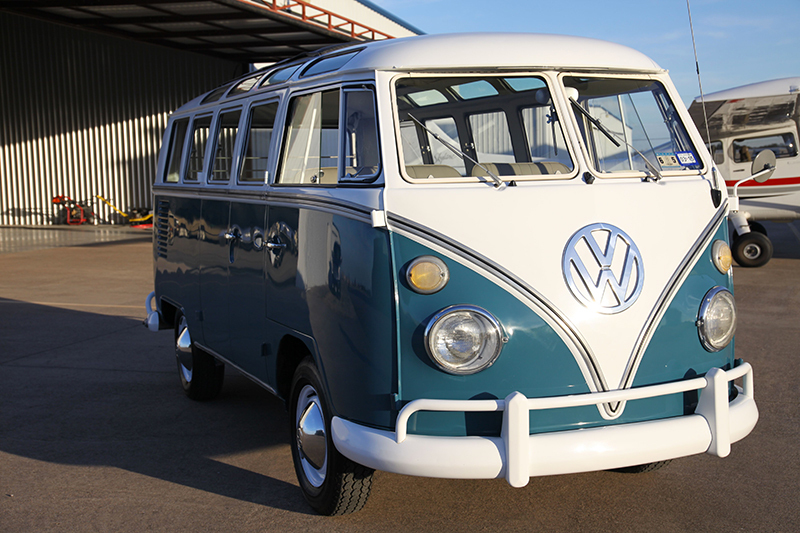 Coming from the sunny beach of California, our new T1 offers an outstanding comfort to 8 passengers. 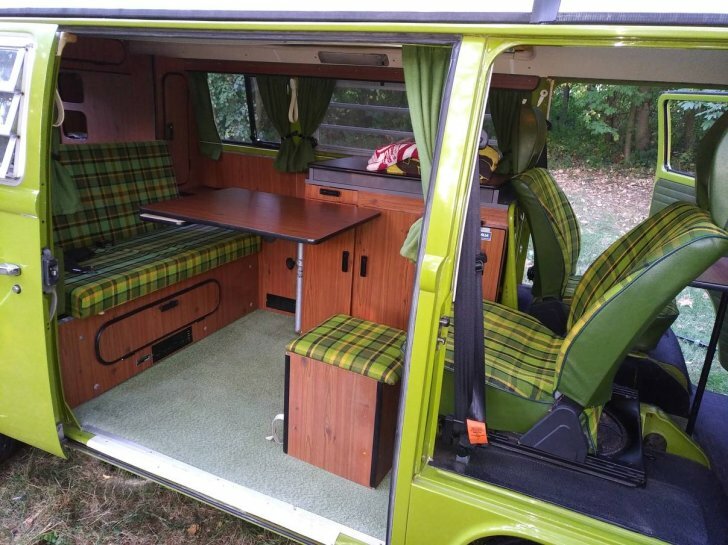 From 360 €. 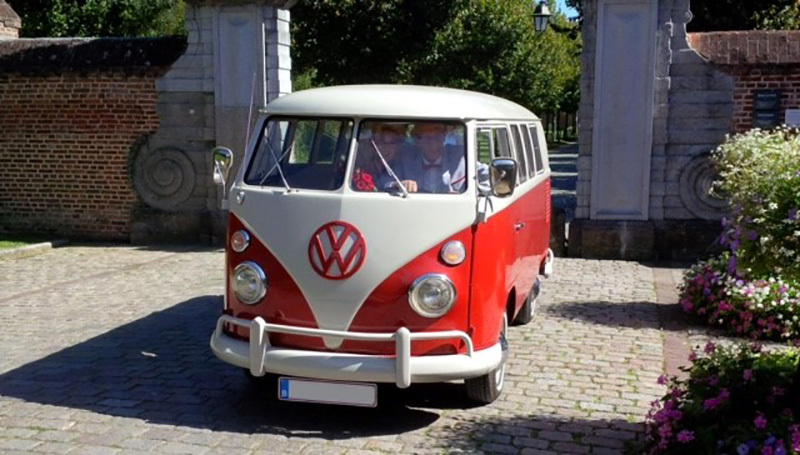 Baptism from Beersel 70 € / hour. 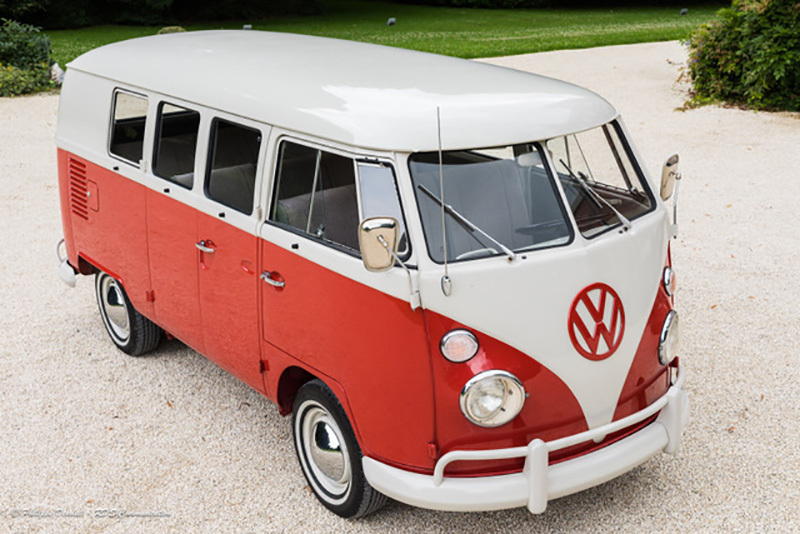 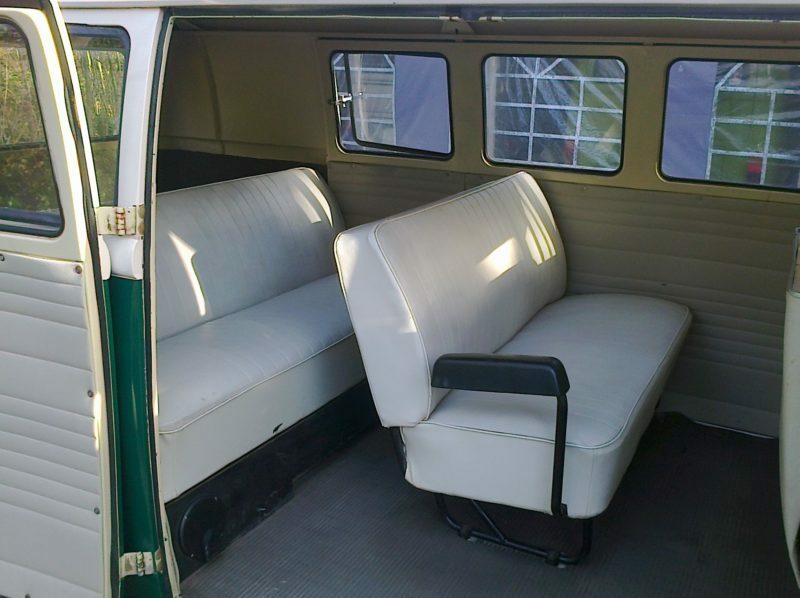 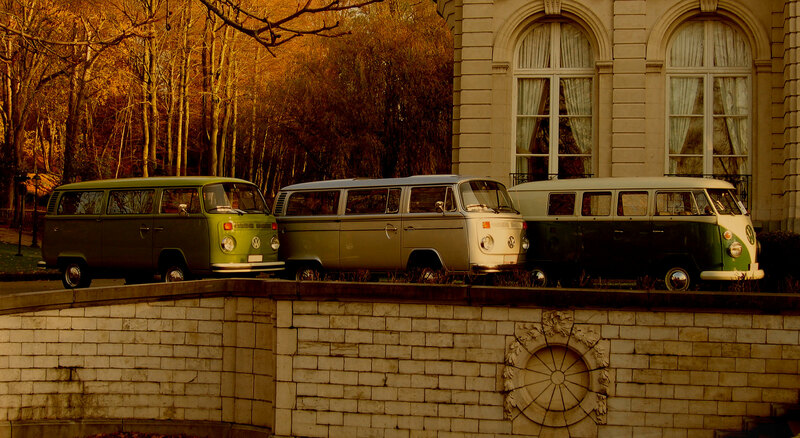 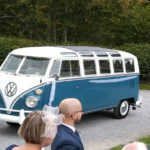 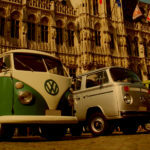 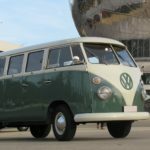 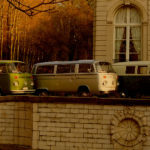 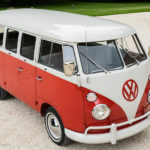 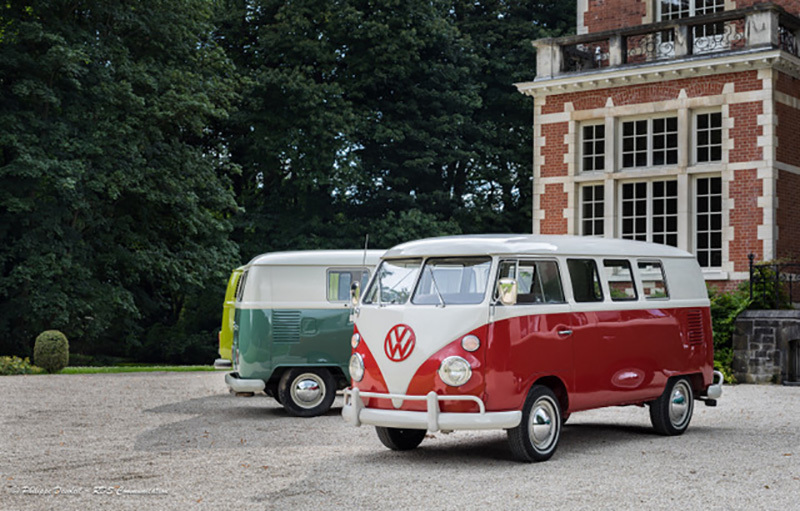 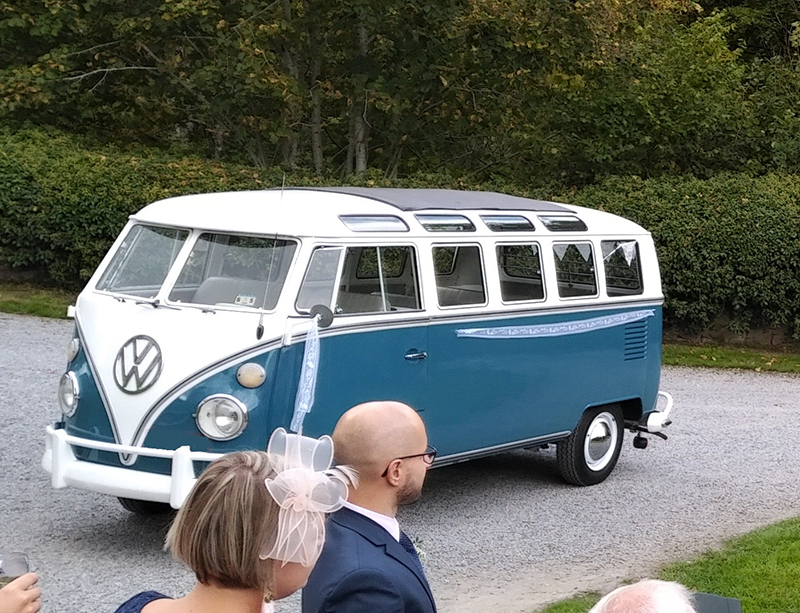 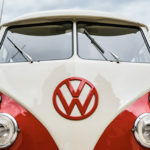 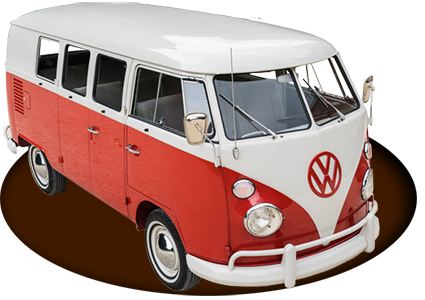 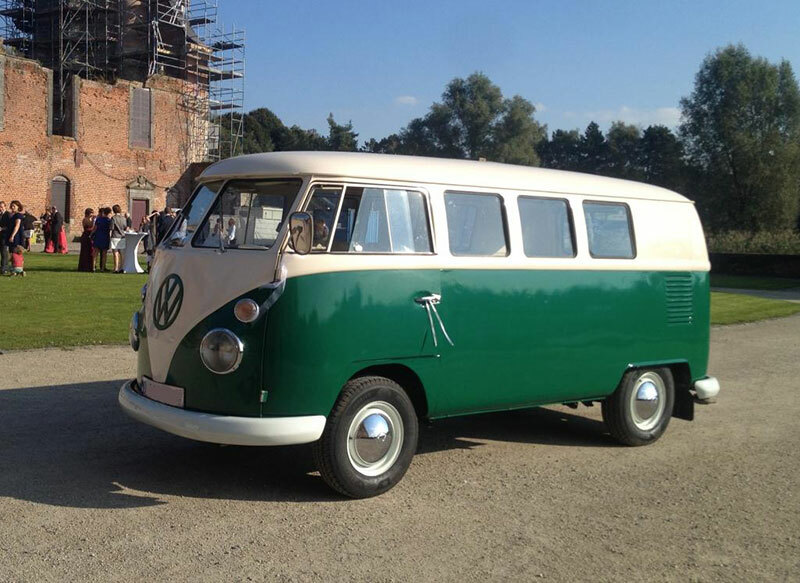 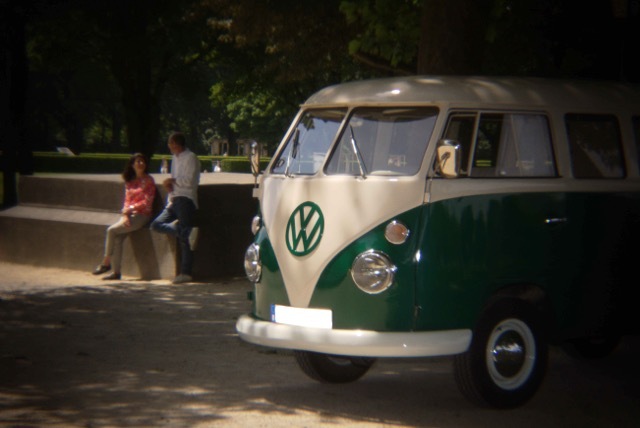 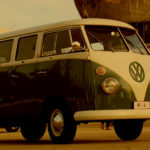 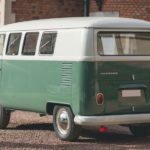 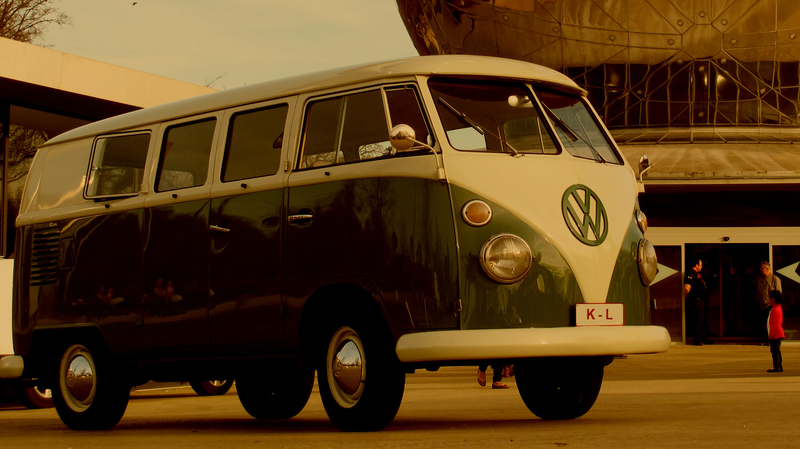 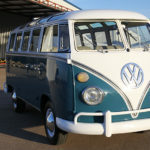 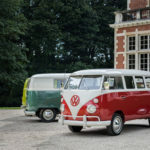 The most legendary of the VW buses. 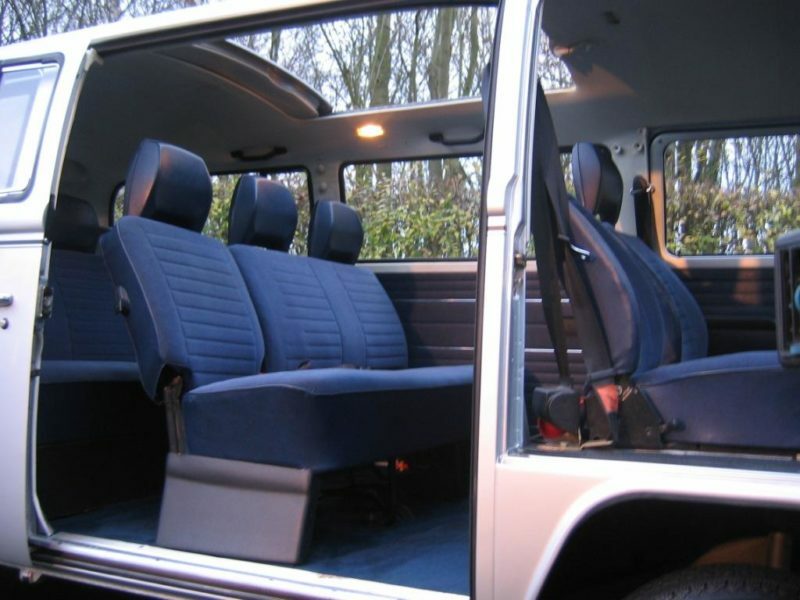 Up to 7 people travels in friendliness. 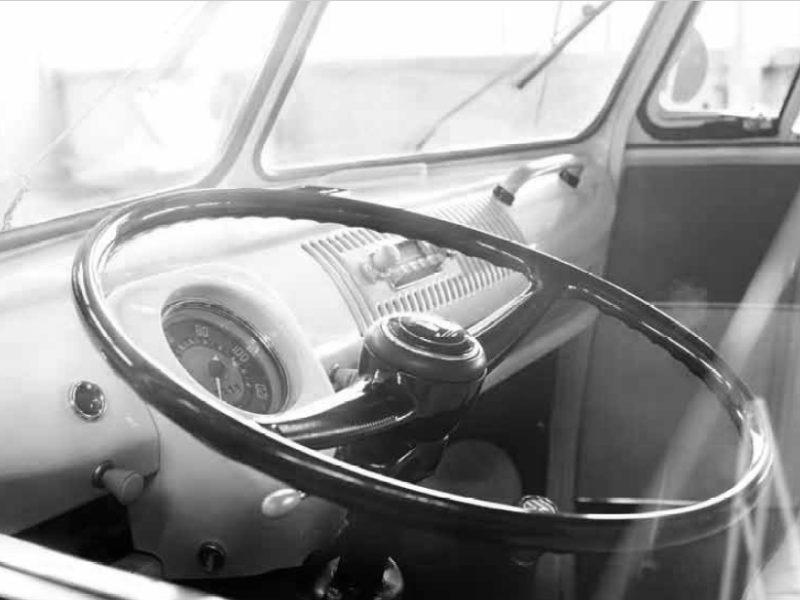 Enjoy an unprecedented vintage experience on board ! 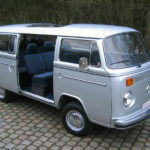 Our second “T1” can carry up to 8 passengers plus the driver. 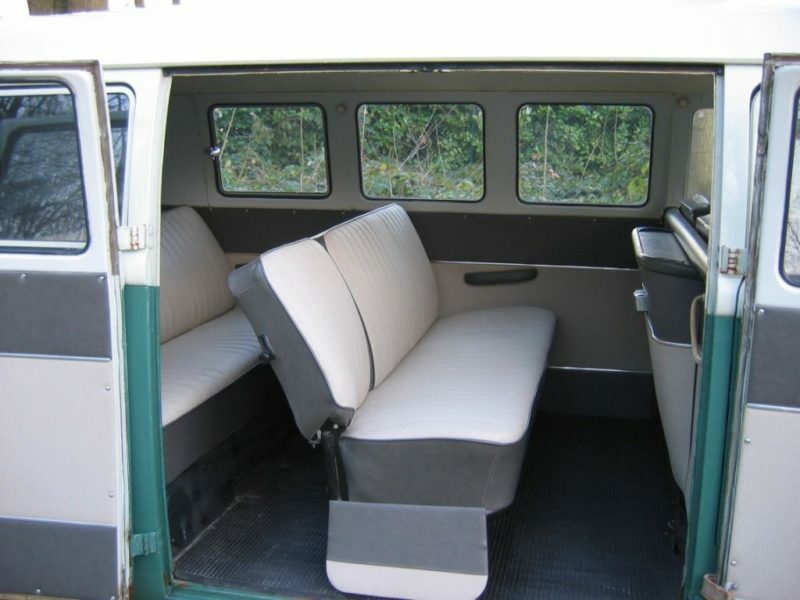 Live again the 60’s spirit aboard this minibus. 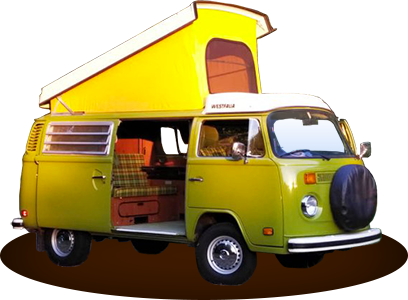 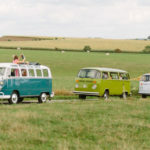 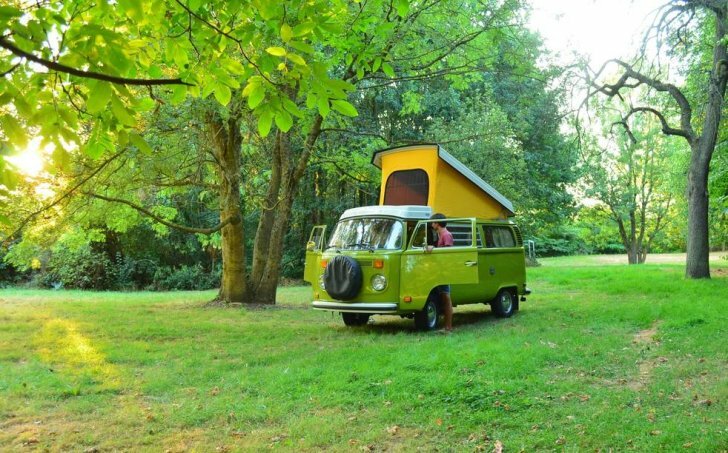 Next trip to Woodstock? 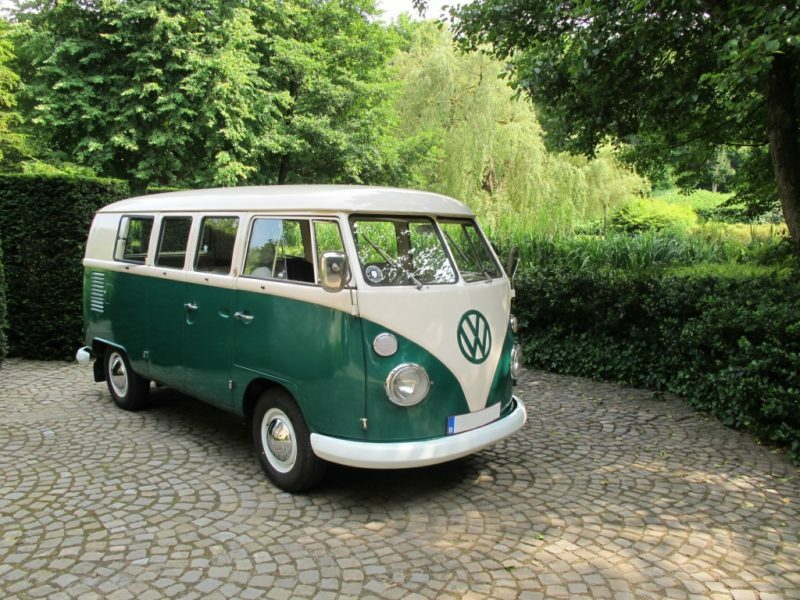 From 325 €. 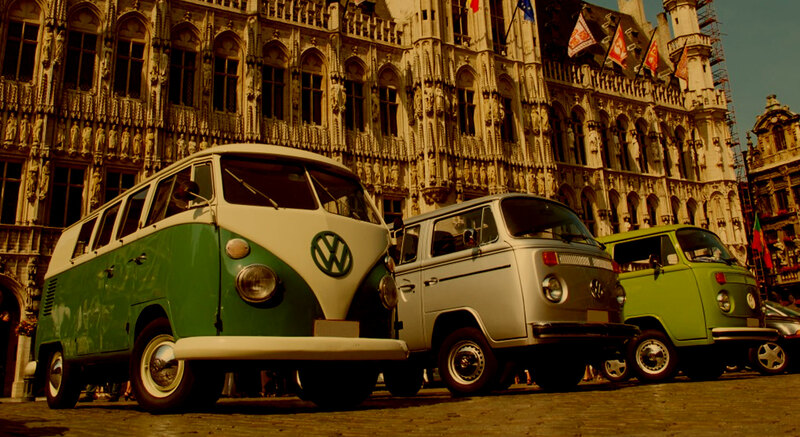 Baptism from Beersel 70 € / hour. 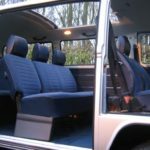 The “newest” of our combis is also the most luxurious, equipped with velvet seats, a powerfull engine, and, with a large sunroof in the passenger compartment! 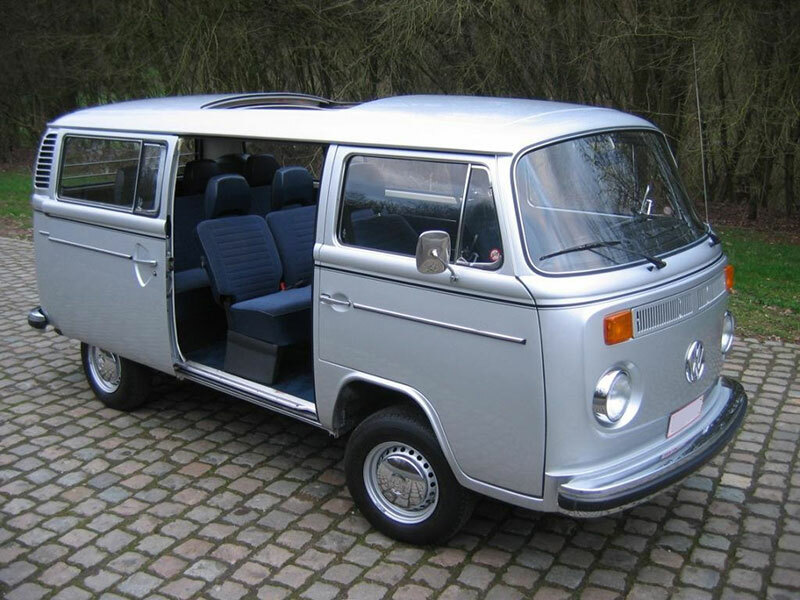 Limited edition “Silberfisch” Capacity : 7 passengers + driver. 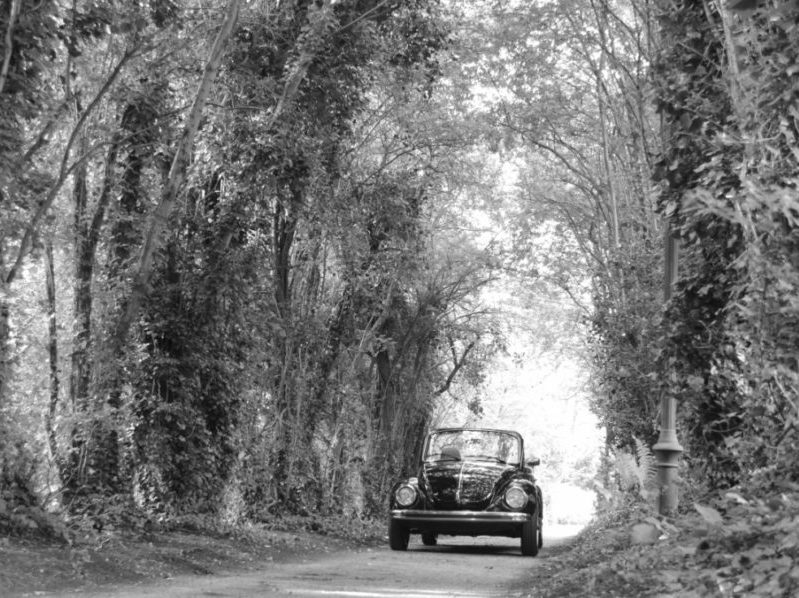 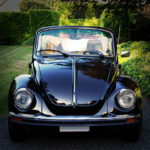 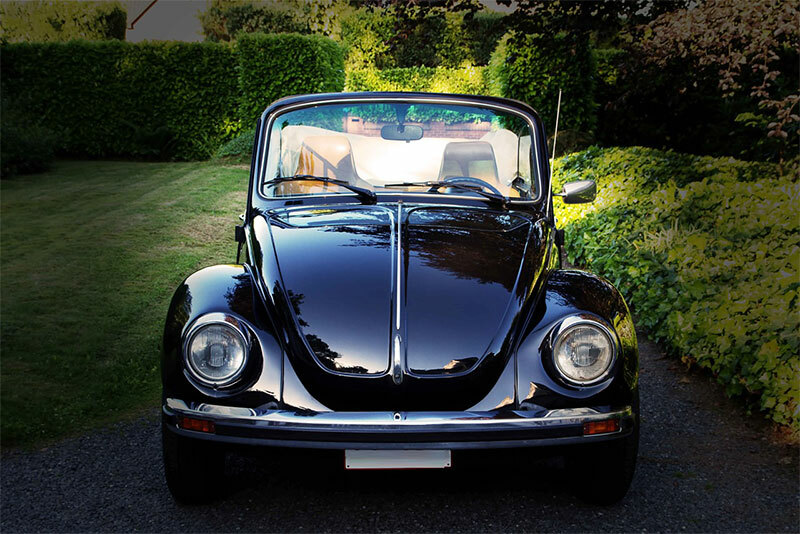 Symbol of freedom during the 70s, the Beetle Convertible was also one of the few convertibles offering 4 places in the sun. 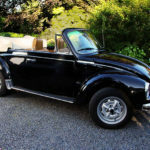 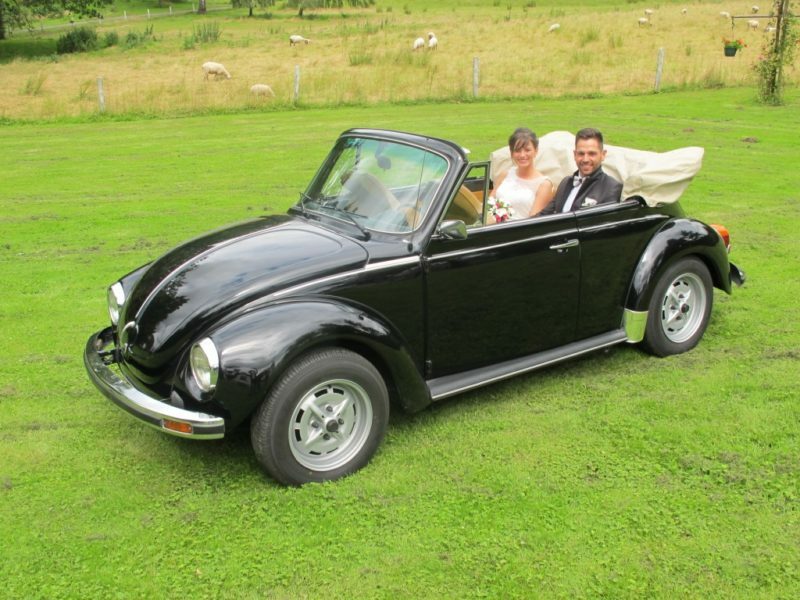 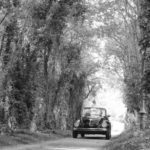 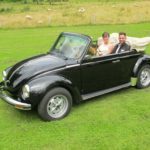 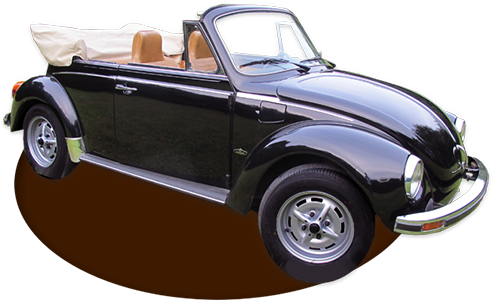 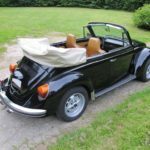 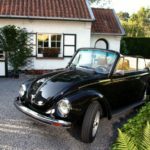 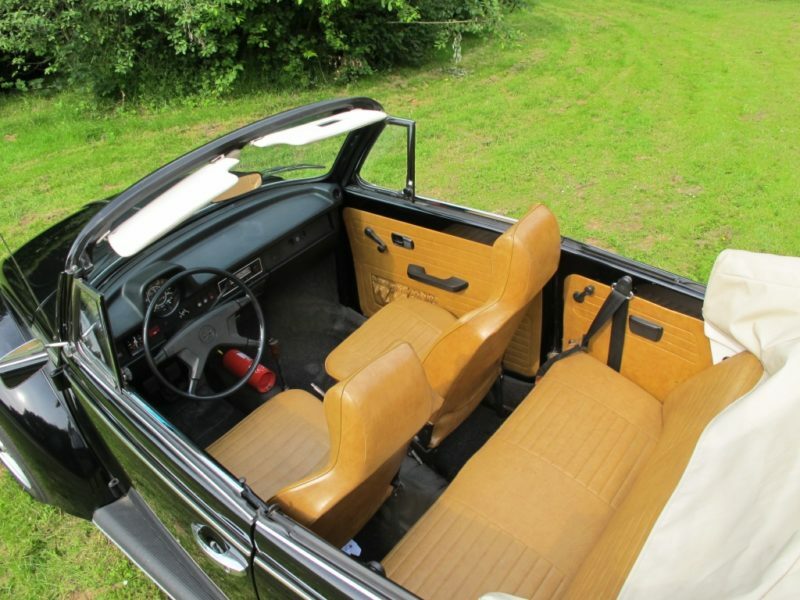 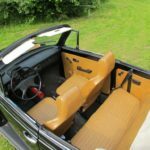 Our 1975 Beetle Cabriolet has the latest technological developments of this model. 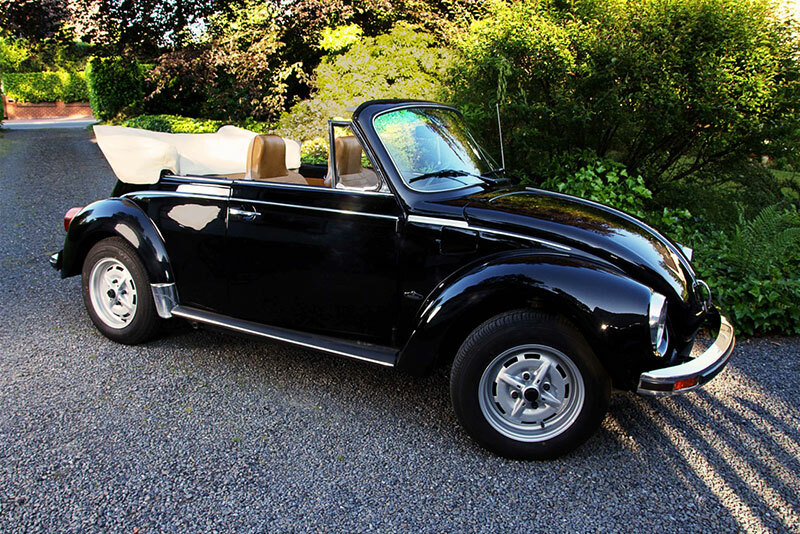 From 350 €. 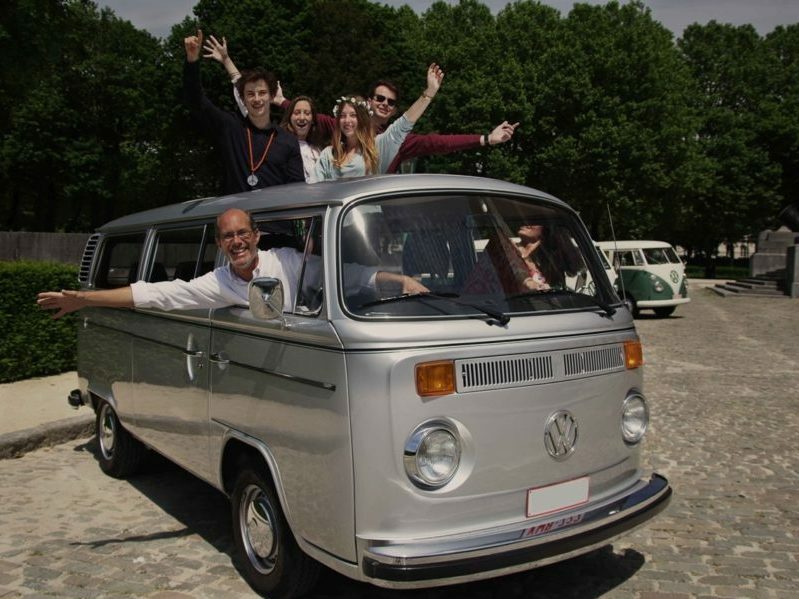 Baptism from Beersel 70 € / hour.